An official announcement of new iPhones usually means a release date for the latest version of Cupertino's mobile operating system as well. Today was no different as Apple announced that iOS 9 would be available as a free download September 16th. When it arrives next week, you'll be privy to new features likea new and improved Siri, system-level security settings and split-screen multitasking on the iPad (hello, iPad Pro). Native apps like Maps (now with transit info), Notes and others have also been refreshed, so if you haven't been adventurous enough to test-drive the public beta, there will be a load of new stuff for you to try. And there's that brand-new News app too, serving up personalized content to your devices for reading on the go. Apple announced an alternative to paying your carrier for new iPhones at its press event today. Dubbed the iPhone Upgrade Program, the new system will allow customers to get a new phone every year while upgrading to the new flagship device annually. 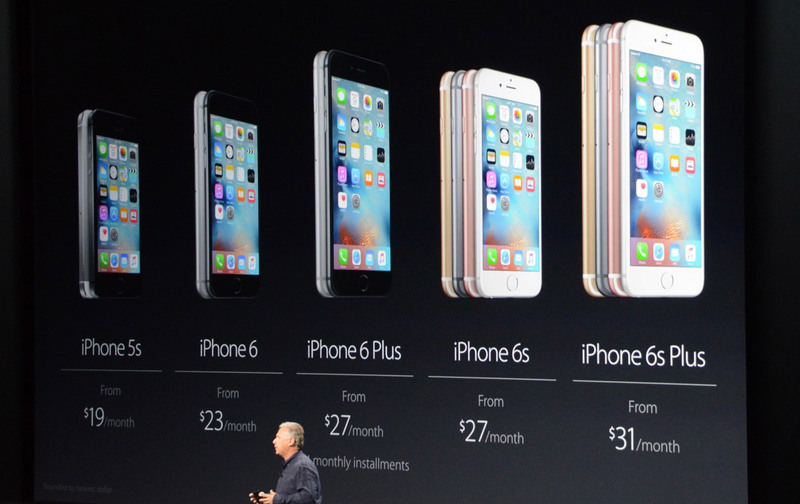 The 24-month installment plan starts at about $32 a month for the 16GB iPhone 6s. As the Apple website explains, "After 12 installments, you can get a new iPhone and start a new iPhone Upgrade Program. No more waiting for your carrier contract to end. 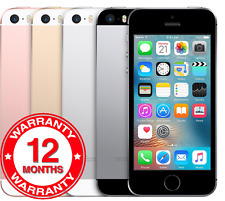 Just trade in your current iPhone for a new one, and your new program begins." 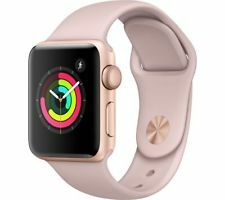 This is similar to installment plans offered by the major carriers, albeit for an unlocked device that also includes Apple Care. The program launches at 12:01 AM on September 12th alongside the 6s pre-orders. Today at its annual iPhone press event, Apple didn't just unveil two new handsets, but also a refreshed Apple TV and the long-rumored iPad Pro. As the name would suggest (and as leaks already told us), this is a supersized tablet meant, with a 12.9-inch screen, an optional pen (excuse me: Pencil) and a click-in keyboard. Though the pen and some forthcoming Adobe apps underscore how this might be useful for creative pros, the split-screen view and added processing power might also make it a good fit for other kinds of workers, running the gamut from spreadsheet monkeys to engineers to people in medical fields. I had a chance today to play with the new Pro and its accessories for a few minutes, and while it's too soon to tell how this stacks up next to, say, the Microsoft Surface Pro or even a similarly priced touchscreen laptop, it's definitely not too early to share some first impressions. Apple may have finally embraced larger phones last year, but this year's announcement of the 6s Plus doesn't mean we're going to see a 6-inch iPhone any time soon. We're still looking at the same 5.5-inch screen size, though with faster internals and some snazzy new features like 3D Touch. But, with larger displays becoming the norm, users now have to think about more than just the screen size. 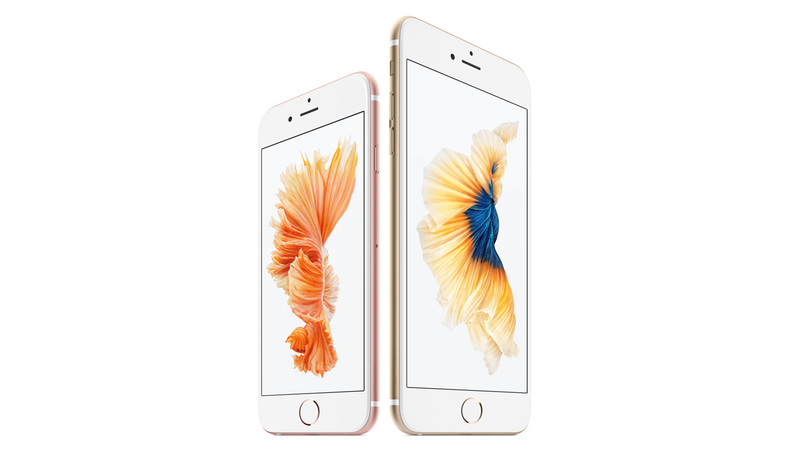 We've matched up the iPhone 6s Plus against some leading handsets to make it easier to decide which big-screen phone has what it takes to be your next device. 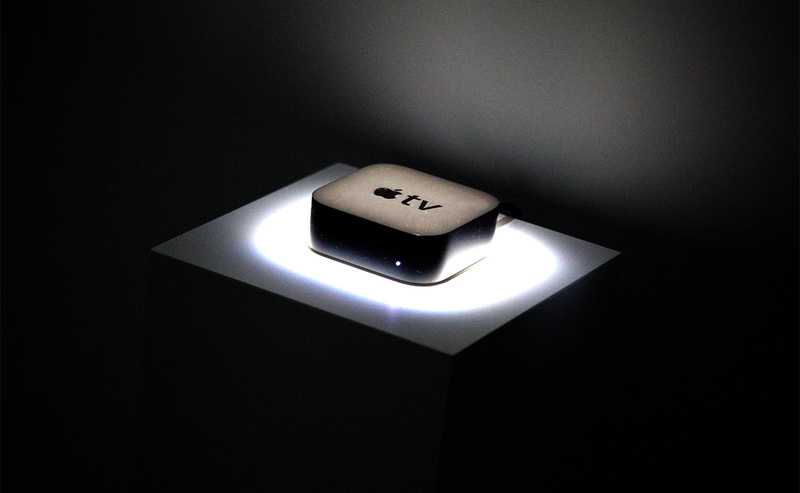 Last year's Apple TVs were a lot of things. Streaming boxes. Keynote-watching tools. Must-haves for Airbnb hosts. 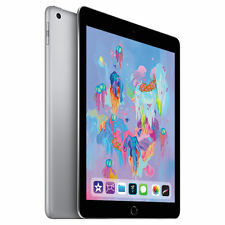 Most importantly, though, they were Trojan horses for Apple's content, means for Cupertino to worm its way into the heart of your living room. While the Apple TVs of the past were more or less content to take on the Rokus of the world, today's newer, faster, more capable model is gearing up to battle your Xbox. And you know what? It's got a pretty good shot. 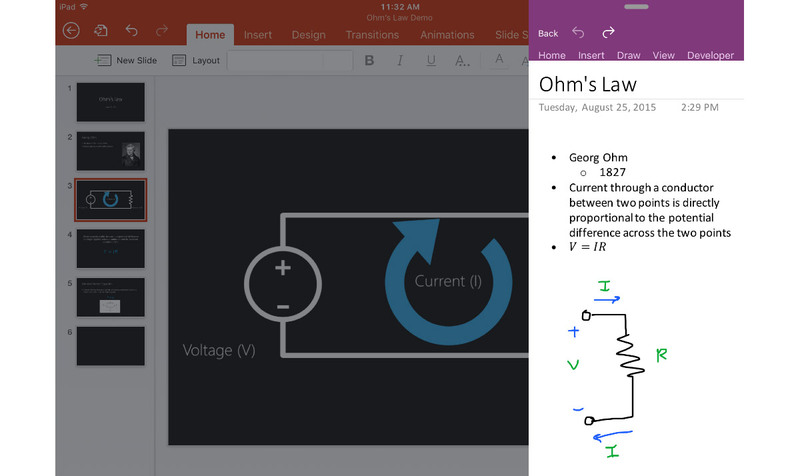 Microsoft's giving its Office apps for Apple's devices a huge boost, enabling it to take better advantage of iOS 9's, WatchOS 2's and the iPad Pro's new features and capabilities. To start with, the company's making it easier to multitask on the iPad -- especially on the upcoming supersized Pro tablet -- once the latest iOS version drops. You can slide over to a second screen to access another app, use two Office apps at the same time side-by-side and even edit a Word, an Excel or a PowerPoint file attached to an email while it's open on Outlook via split screen. Although the new iPhone 6s and iPhone 6s Plus don't look all that different, Apple has sneaked in a few major hardware changes. 3D Touch was one of the big announcements, which allows the iPhone to determine how much pressure you apply to the screen and display shortcuts and other features accordingly. However, this enhancement appears to come at a small cost: battery size. 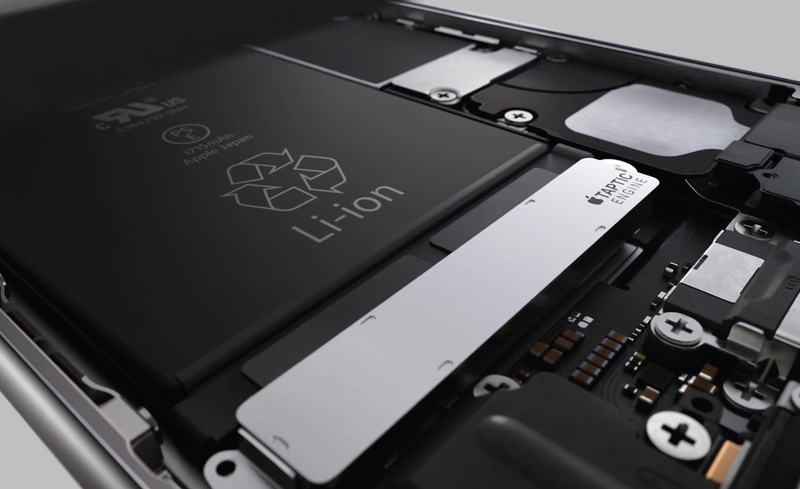 In a video introducing the iPhone 6s family, Apple briefly flashes the battery capacity of the base model. Its 1715 mAh rating is a touch lower than the 1810 mAh battery in the iPhone 6. 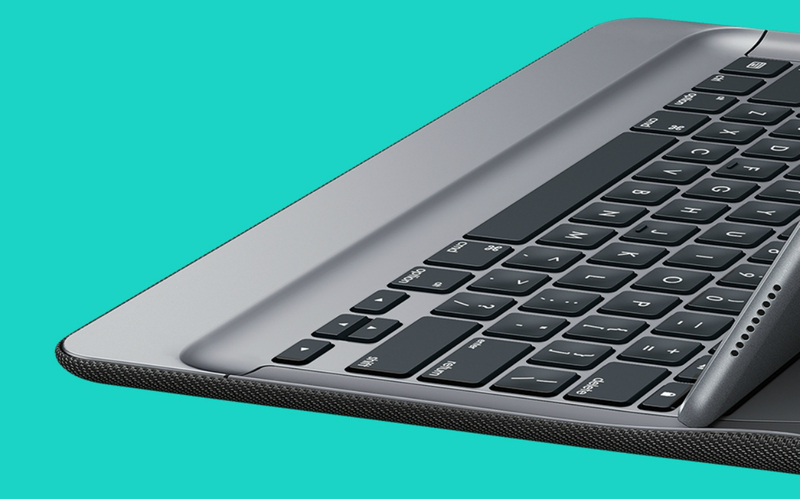 If there's one company that has experience building iPad keyboards, it's Logitech. The accessory maker has made countless typing tools for Apple's tablets, so unsurprisingly, it's also working on one for the iPad Pro. 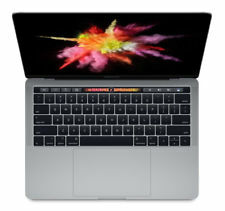 It's called the Create Keyboard Case and, like Apple's own Smart Keyboard, connects through the new three-pronged Smart Connector. 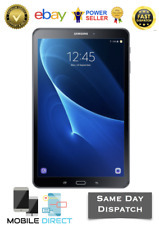 That means there's no need to pair or charge the attachment, because it draws all of its power and data directly from the tablet. Logitech says it was developed closely with Apple -- the first teaser image (above) hints at a full QWERTY layout and an exterior covered in a "tightly-woven premium fabric." Why choose the Create over the Smart Keyboard? For one, the Create has plastic keys -- rather than the fabric covered set found on Apple's offering -- and if you've seen the Smart Keyboard folded up, well, it doesn't look all that attractive. Logitech says it'll be available in the US and select parts of Europe and Asia when the iPad Pro goes on sale in November -- there's no word on pricing just yet, however. Apple's latest desktop OS upgrade, dubbed "El Capitan," is scheduled to launch on September 30th, Apple announced today. El Capitan is like an update within an update: It's named after a landmark inside of Yosemite (the name of the previous OS version) and it features a series of minor, yet useful, tweaks. El Capitan offers a new split-screen view, changes to email and app management, drag-and-drop options for Notes, and updates to Safari and Maps, among other improvements. We got our hands on the developer build back in June and concluded it was a nice upgrade, if not revolutionary: "There simply is no killer feature this time around. But as minor as some of them may seem, they're all at the very least nice to have, and in many cases genuinely useful." 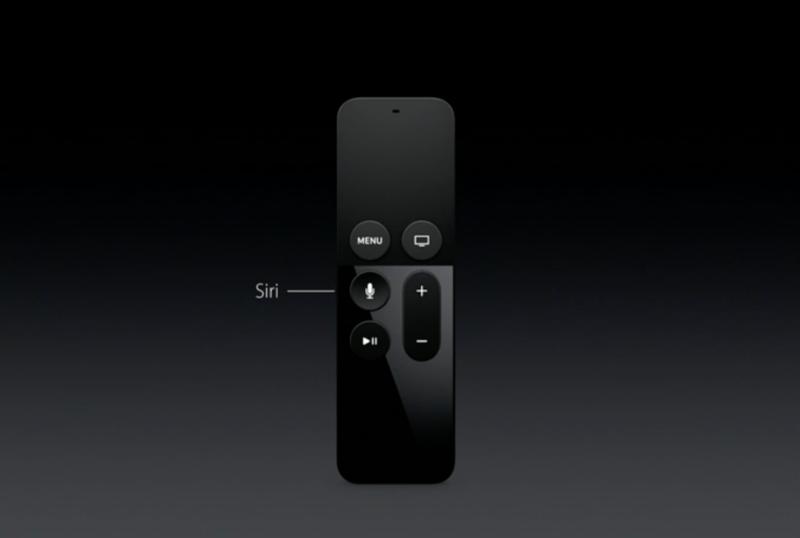 Apple TV's new Siri-enabled remote, with a touchpad and mic, has finally brought the media player up to speed with its competitors like Roku and Amazon. In addition to a snappy universal search, the digital assistant can now pick shows by cameos, movies by actors and genres by age. The demo onstage -- with Siri pulling up the weather and a sport scorecard while automatically pausing the movie in the background -- seemed to give the company's TV boxa much-needed edge. But according to their developer guide, the voice-controlled TV watching pleasure will be limited to only eight countries at the time of launch end of next month. 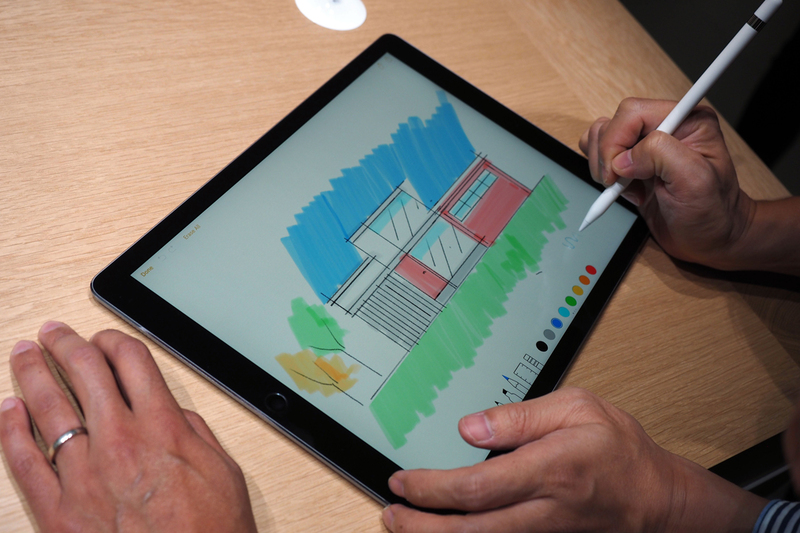 Apple's big iPad Pro came with a big surprise -- an optional stylus. It's easy to dismiss the accessory -- named Apple Pencil -- as a reaction to Microsoft's Surface and Samsung's Galaxy Note series. Whatever the motive, though, the Pencil pushes the iPad and iOS in a new direction, away from regular consumers and toward Apple's bread and butter: designers and creatives. We spoke with over a dozen professional artists, illustrators and designers to gauge the reaction to the accessory. Many use styli in their everyday workflows through options including dedicated Wacom graphic tablets, all-in-one solutions like the Surface series or capacitive options like FiftyThree's Pencil for iPad -- and they've got a lot to say about Apple's entry into the market. While iOS 9 may be available for download in a few days, Apple is wasting no time getting the next version in the hands of beta testers. 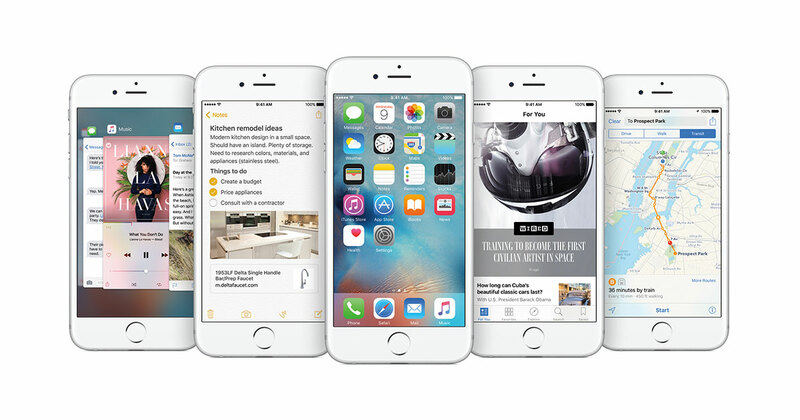 iOS 9.1 is now ready for download for folks who've signed up for Apple's Beta Software Program. In addition to some new emoji, the build includes APIs for 3D Touch and Live Photos so devs can get busy building apps that support those features. If you're not feeling too adventurous, the version of iOS 9 meant for public consumption hits next week. 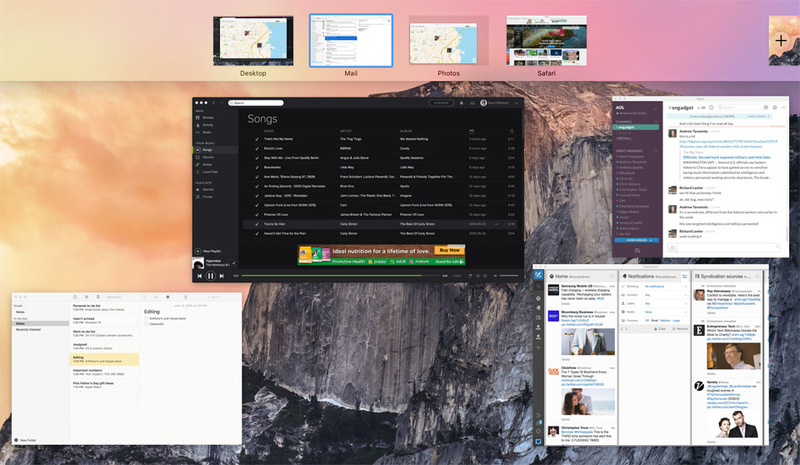 Almost a year ago, Apple put a Retina display inside its 27-inch desktop. 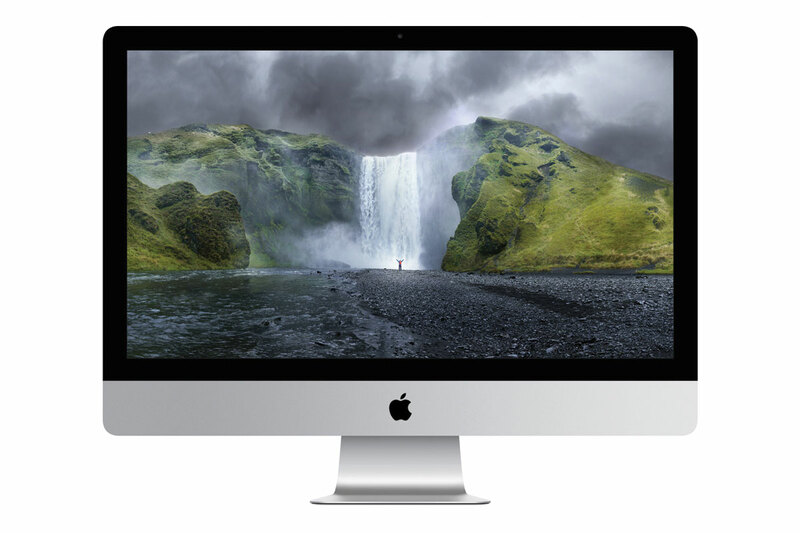 A report from 9to5Mac says we could see a high-res panel on the smaller 21.5-inch model soon as well. The word comes from Mark Gurman, who has a solid track record for news like this, of the new iMac initially tipped by clues inside the upcoming OS X El Capitan. Despite the larger all-in-one getting a 5K Retina panel last fall, the report claims that the 21.5-inch version will come equipped with a 4K display and resolution of 4,096 x 2,304 (up from the current 1,920 x 1,080). While Apple has an iPhone-focused event scheduled for next week, Gurman says the new iMac won't be announced until next month. If you're not too thrilled about paying a premium for a higher-resolution display, chances are the current model will remain available. Even after the 27-inch Retina model arrived, the 1440p option stuck around. A few months ago Google made changes to its YouTube app and pulled it from old second-generation Apple TV boxes (as well as some other older smart TVs). Now, if you're longing for the heady days of 2007 and aren't ready to upgrade (probably a good idea, with new hardware right around the corner), there is a way to get it back. Firecore has added a YouTube plugin to its aTV Flash (black) software for jailbroken Apple TVs. If you own a third generationApple TV (on sale since early 2012, supports 1080p), then this doesn't apply to you, since you still have YouTube. But if your ATV2 is still in use, this will get it back... for a fee of $30. With Apple's big event just a few days away and a new$150 Apple TV rumored to be on the way we can see why this isn't the time to buy an upgraded model. You could buy a Chromecast plus whatever is announced on the 9th and do just as well -- or use AirPlay, if you also have iOS or Mac hardware. If you prefer the DIY route and want native YouTube playback, though, you can follow the instructions here. The Pokemon Company and Nintendo's free-to-play puzzle game Pokemon Shuffle is out now for iOS and Android devices. Nintendo had made good on its promise to bring the game to mobile devices prior to the end of the year, with the title available to download on the App Store and Google Play. Pokemon Shuffle debuted on Nintendo 3DS earlier this year through the eShop, garnering 2.5m downloads in just over a month. As one might expect with a free-to-play release, Shuffle contains microtransactions once players reach a certain stage in the game. 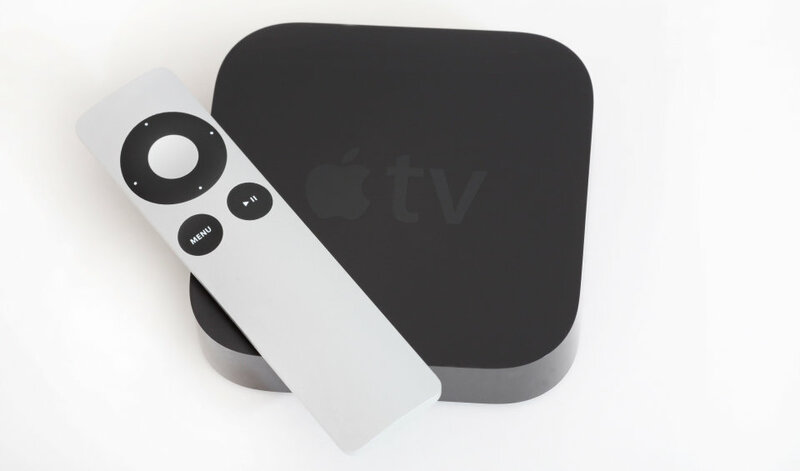 No, the torrent of rumors surrounding the next Apple TV hasn't ended yet. Sources for both 9to5Mac and BuzzFeed News now believe that the media hub will start at $149 -- still much higher than Apple TV boxes from recent memory, but better than the $199 mentioned in the past. Whether or not that's your only option is up in the air, though. Apple has reportedly "considered" a two-tier lineup with both a base 8GB model and a 16GB option for those who want to run more apps. It may just as easily offer a lone 16GB version at that price, though, so don't count on anything just yet. 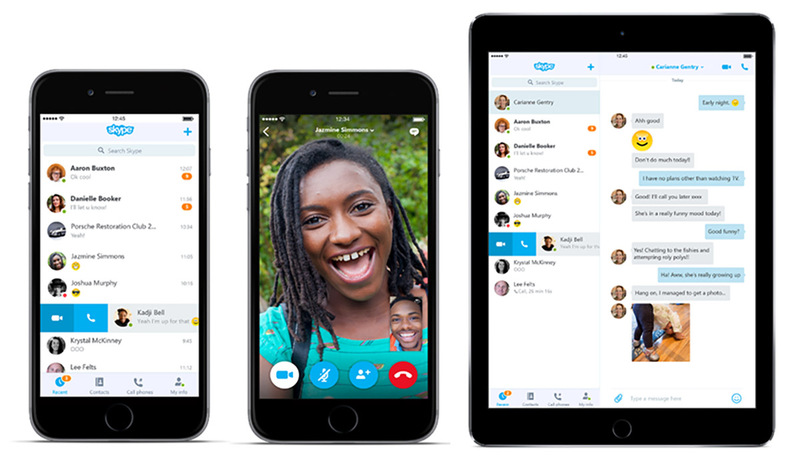 Skype users have ridden a rollercoaster of different designs over the years, and the latest version promises yet more change. Version 6.0 has been completely redesigned for both iOS and Android apps, which are now in lockstep with each other. For Google's ecosystem, the new layout took a page from the Android 5 "Material" playbook with circular icons and other touches. Other features include a floating action button to start new calls or chats (à la Facebook's Messenger), enhanced search and improved messaging. There are also custom ringtones, photo sharing and web link reviews to bring the app in line with rival messaging products like Google's Hangouts. 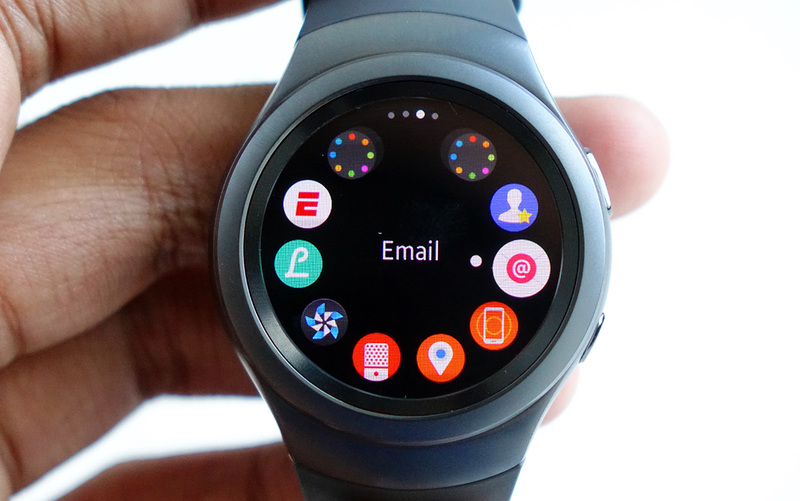 Few companies have churned out as many different smartwatches as Samsung, so it's little surprise the company is showing off a new one — the Gear S2 — at IFA. What is a surprise, though, is how much more elegant, more polished the S2 feels compared to just about all of Samsung's previous attempts. 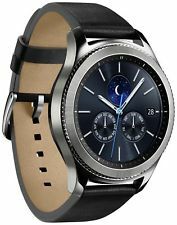 After years of seemingly blind iteration (and just a little bit of hands-on time), Samsung finally seems to have a style, if somewhat controversial smartwatch on its hands. Researchers at Barcelona's Telefonica Research lab have developed a smartphone-based algorithm that determines a user's level of boredom based on how much they're using the device. The algorithm also takes a number of factors such as time of day and how long it's been since receiving a call or text into account as well. With it, the researchers were able to accurately gauge a user's level of boredom 83 percent of the time. Sony has taken the wraps off its new Xperia Z5 Premium smartphone, which has a 5.5" display that operates at 4k resolution. "The company acknowledged that there was still a limited amount of professional content available in 4K — which provides about four times the number of pixels as 1080p high definition video. 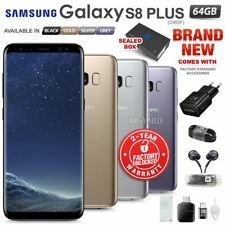 But it said the Z5 Premium would upscale videos streamed from YouTube and Netflix to take advantage of the display." Sony's answer to the obvious battery concerns raised by such a pixel-dense (808 ppi) screen was to use a 3,430 mAh battery and memory-on-display technology. The video upscaling can also be turned off to decrease battery drain. Guests online: 768. Total online: 768.